Next week we could get a new build of Windows 10 Mobile Redstone belonging to build 143xx as anticipated by Gabriel Aul. In Windows 10 Insider Preview Build 14316 Microsoft introduced several new features, some of which also coming in the next build mobile. The item System > Battery Save has been renamed Battery . Also new options for battery management and background apps were introduced, with the ability to disable all activities, turn them on and let the system decide. The system setting screen Glance was transferred in Customizing . By going to Update and security > Windows Update are new options such as, for example, that relating to the hours of activity, on the restart options and the advanced ones. 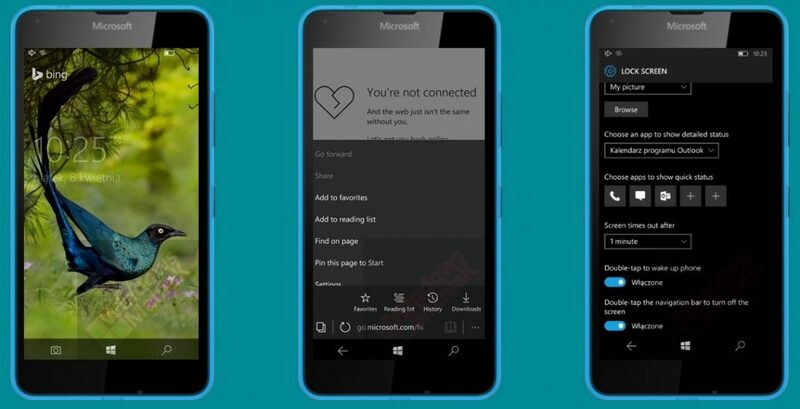 In the lock screen is again available for the voice wake your smartphone by performing a double tap on the screen, with the hope it can be extended to the whole fifth Lumia series. Now you can choose what priority to show the app notifications in the Notification Center , as well as the amount. Just go to Settings> System> Notifications and actions . Select an app and change its options. The lock screen will display the camera button instead of the back button in the following smartphones: Lumia 535, 535 Dual SIM, Dual SIM 540, 640 Dual SIM, Dual SIM DTV 640, 640 LTE, LTE Dual SIM 640, 640 XL, 640 XL Dual SIM, LTE XL 640, XL 640 LTE Dual SIM, Dual SIM 730, 735, Lumia 550, 650, 650 Dual SIM, 950, 950 Dual SIM, 950 XL 950 XL Dual SIM. In Microsoft Edge has been inserted the item to move forward in web pages, to sort the list of favorites by name, and there are improvements in the rendering of the pages. Wsve4B The move by the sports shoe business that clearly has ravens nfl nike jerseys online concerned, said he thought he was one of the hottest teams in football.